Tattoos are in, reading the newspaper in print is out among Americans in 2014. Those are some of the findings from the latest NBC News/Wall Street Journal poll about habits and activities that have changed over the past 15 years – as well as those that haven't changed. In 1999, just 21 percent of Americans said that someone in their household had a tattoo. Now? That figure has doubled to 40 percent. And among those 18 to 34 years old, 58 percent say someone in their household has a tattoo. 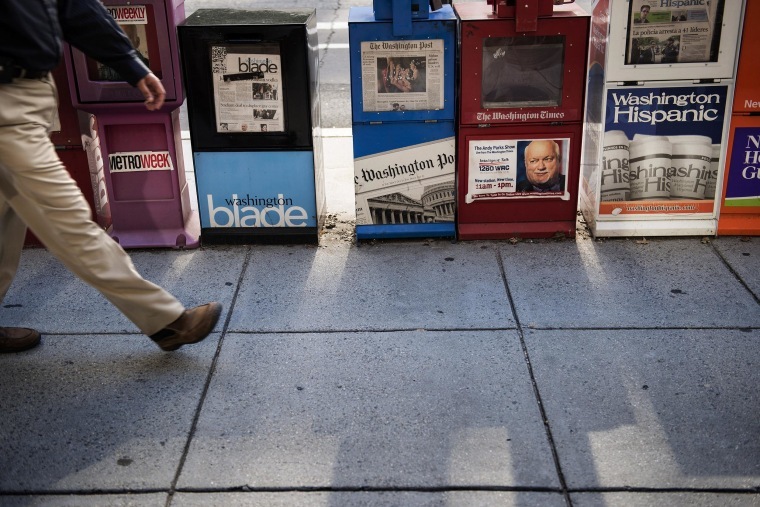 Just 47 percent of respondents say they currently read the newspaper in print at least three times a week – down from 79 percent who said this 15 years ago in the poll. (Still, 71 percent today say they read the newspaper either in print or online at least three times a week). But other things haven't changed much from 1999. Today, 69 percent say they know their neighbors well, versus 73 percent who said that 15 years ago. Fifty-eight percent now report that they have a family dinner at least five times per week, compared with 60 percent who reported this in 1999. And in 2014, 38 percent of Americans say that someone in their household has served or is currently serving in the military – slightly down from the 44 percent who said this 15 years ago. and 32 percent of all respondents (and 53 percent of those 18 to 34) say they play video games on consoles like a PlayStation or X-Box. The NBC/WSJ poll was conducted April 23-27 of 1,000 adults (including 300 cell phone-only respondents), and it has an overall margin of error of plus-minus 3.1 percentage points.